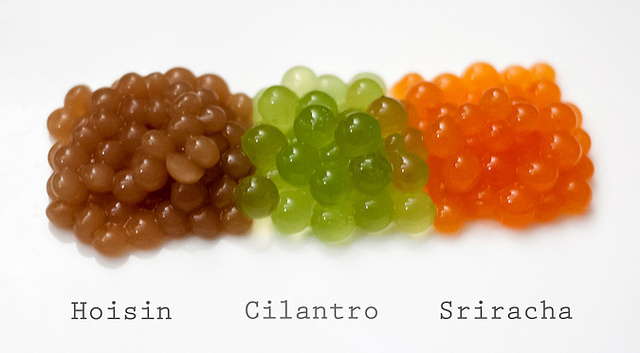 From America’s Test Kitchen, the process is called spherification. It’s what chef’s in trendy restaurants do to jazz up their dishes, and you can do it at home! Ice and water are also needed, but that shouldn’t be a problem. A full list of the requirements and the steps required, can be found HERE. This entry was posted in Hobbies & General Interest, Uncategorized. Bookmark the permalink. Look like caviar…do they come in beluga flavor? Thank heaven they moved away from that irritating use of liquid nitrogen as a preparatory agent and condiment. And no, I wouldn’t consider dropping the edible spheres into liquid nitrogen for more ‘BAM!’. 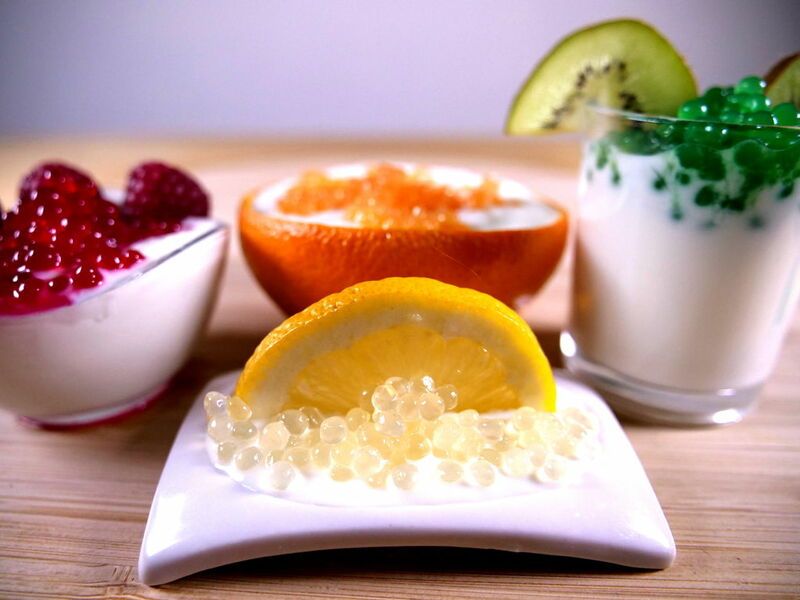 Sort of looks like caviar! Very decorative, and a tasty kind of weird.